With the first run being only 2 miles, it was tough to try to hold it back a little. We ran through nicely paved trails in the park and then hit the streets on a closed road course – the run loop had a great mix of everything! I hit mile 1 at 5:30, which is a little faster than I should’ve gone…but the desire to beat some of the elite males was too strong 😉 So I chilled out a little and arrived at T1 with an 11:45 split (and 5 gentlemen behind me) and headed out onto the bike. The bike course was equally awesome – winding through nicely paved country roads with some fun rollers and a couple of opportunities to get out of the saddle. The only problem with running faster than some of the elite men, was quickly being passed by them on the bike… It took the wind out of my sails just a little bit, but on the 2nd loop of the bike the rest of the racers were now on the course to provide some company. 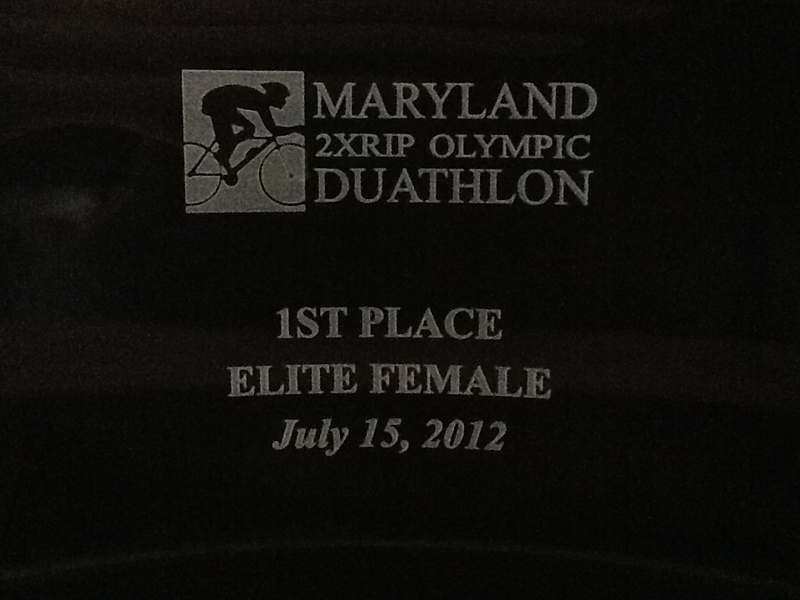 RIPIT Events did a great job with this race – as did their sponsors and volunteers. The race benefited Adventures for the Cure, which also had a great showing of athletes at the event! Great awards too – definitely an event to add to your calendar next year!